An umpire is responsible for making calls on plays and ensuring game rules are followed. Football umpires and officials are responsible for calling penalties as they see them. Tennis umpires are positioned around the outside of the court. Football employs several officials, but only one is called the umpire. As many as four umpires might oversee a cricket match. Most sports use people who officiate during competitions, enforcing all rules, making judgment calls, keeping track of scoring or results and performing other duties as needed. In some sports, such as baseball, softball, cricket and tennis, these officials are known as umpires. American football also has an umpire among the many officials that typically are used during games. In baseball and softball, each of the officials is called an umpire, or "ump." The umpires are more specifically referred to by their position on the field, such as a home-plate ump, first-base ump or third-base ump. Most games use at least two umpires. At higher levels of baseball, such as in professional leagues, three or four umpires typically are used. In some games, such as those in championship series, as many as six umpires might be used, including two in the outfield — one along the left-field line and another along the right-field line. A home-plate ump's primary job is to call balls and strikes on pitches. The umpires also call base runners safe or out, rule whether batted balls are fair or foul and make other judgment calls. Their other duties include enforcing the rules of the game, keeping track of player participation and lineups and ensuring that the score is kept properly. 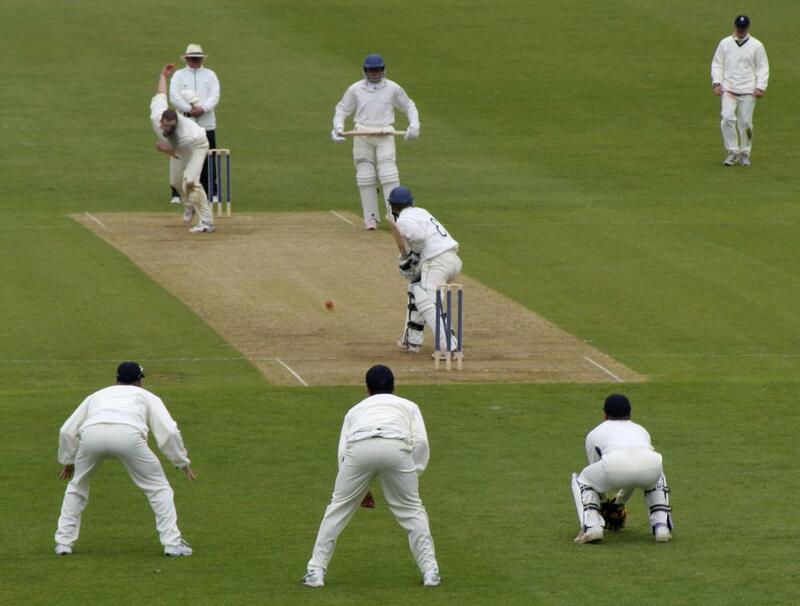 There are two umpires in most cricket matches, although some matches might use as many as four. The bowler's end umpire stands directly behind the bowler — who is like a pitcher in baseball — and the striker's end umpire stands near the batsman. Cricket umpires make judgments about bowler's deliveries and whether batters are out. Their duties also include announcing the end of each over — similar to an inning in baseball — and enforcing the rules of cricket. 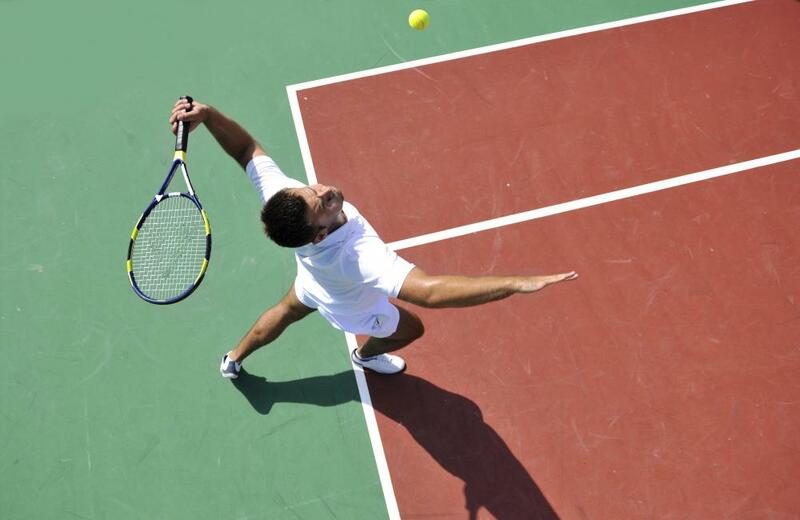 In tennis, the officials positioned around the outside of the court are called umpires. The chair umpire sits on a raised chair next to the net in the middle of the court, is the final authority on all judgment calls and announces the scoring during the match. Line umpires stand around outside of the court, near the walls or fences, and judge whether balls land inside or outside the lines as well as whether a player has committed a foot-fault by stepping on the service line while serving. In local and amateur matches, only a chair umpire might be used, but other matches, such as those in professional tournaments, might also use as many as nine line umpires. For some tournaments, the person who is in charge of all of the umpires is called a chief umpire. Games in American football typically use two to seven officials, depending on the league and level. In advanced leagues, such as those for colleges and professional teams, one of these officials is an umpire. This official's primary duty is to watch the offensive and defensive lines and call penalties, such as holding and illegal blocks, although he or she also can make other rulings or judgments as necessary. The umpire usually stands near the middle of the field, either a short distance behind the defense's linebackers or behind the offense's backfield, depending on the particular rules being used and the game situation. Among the other sports that use umpires are field hockey, Australian rules football and sailing. Field hockey typically uses two umpires during competition, and Australian rules football uses four. In sailing, umpires in boats follow the racing boats and watch to make sure that all rules are being followed. 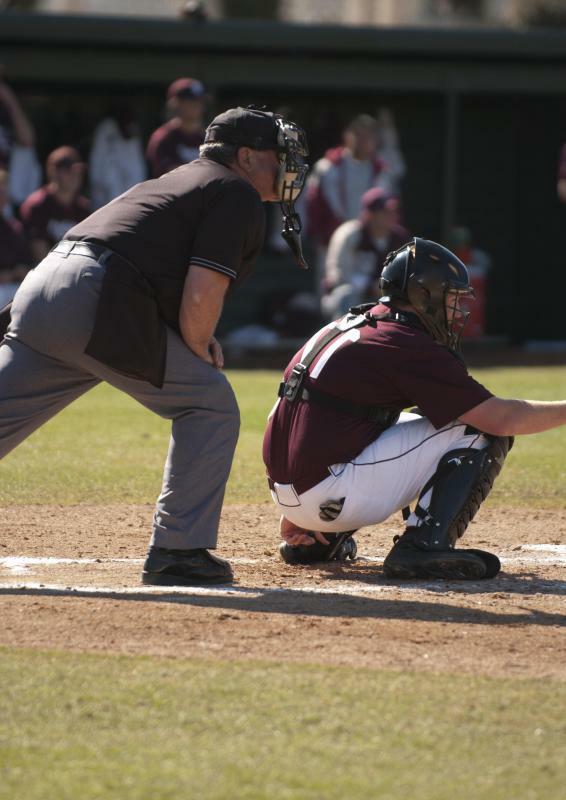 Have Baseball Umpires Always Bent down behind the Catcher? What is the Infield Fly Rule? What is the Strike Zone in Baseball? I'm an umpire in the VAFA (Victorian amateurs football association) in Melbourne, and personally I love the job. You get good pay, and you are respected by the players, and the spectators. It's different in every league and sport, but in my league, I love it. @stl156 - I think knowing umpires is really specific to certain sports. Obviously, you have watched enough baseball and football to have seen the umpires several times and know a little about them. I am not a basketball fan, but I am sure people who watch the NBA are familiar with the main referees and have an idea of who makes good or fair calls and who doesn't. I think that is just another great part of sports. Outside of knowing about the players, the umpires are people that you're going to see regularly for several years, so they are going to develop their own reputations just like the players. Like you also mentioned, some of them might also become well-known for what they do off the field. @indigomoth - You're right that most umpires go unnoticed, but in a lot of professional sports you'll end up with umpires that end up being pretty famous (or infamous as the case may be). In professional baseball, there is Joe West who has been around for many years and has a fairly successful country music career during the off-season. There's also Jim Joyce who's known for his loud calls of balls and strikes and has even given the Heimlich to a choking ballpark attendant. I would say in football there are fewer characters, but there are a lot of jokes about Ed Hochuli who is very muscular and wears skin-tight shirts while he is umpiring. 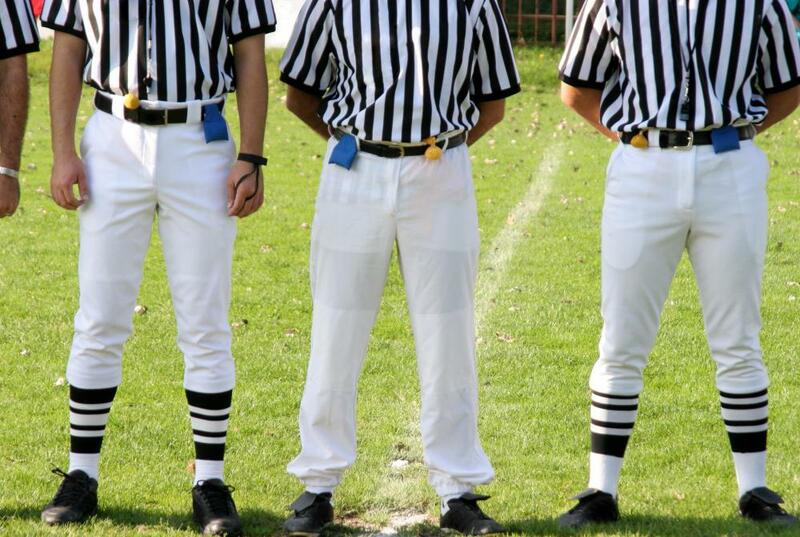 @kentuckycat - In football, the umpire is usually the head referee. In the NFL, you can always pick out the umpire, because he will be wearing a white umpire hat and will have a large "U" on the back of his shirt. The umpire is the one who speaks into the microphone and delivers the official calls. Like you mentioned, you're also responsible for judging close plays. No matter what level you're officiating at, you will always have overzealous parents or coaches who care more about winning than making sure the kids have fun. Wearing the umpire equipment definitely doesn't help things. I wasn't aware that so many different sports used umpires. I am still a little fuzzy about the American football umpire. I have watched a lot of football and have always just heard all of the people called referees. I've never noticed an umpire. What is different about him than any of the others besides the spot where he stands on the field? I have watched a lot of baseball, though, and I know how hard of a job being an umpire can be. Besides having the wear all of the hot and heavy umpire gear you also have a lot of responsibilities. If you start messing up balls and strikes you get heckled, and baseball tends to have a lot of close calls. I've never been an umpire before, but I don't think it is a job I would like. I guess if you want to be an umpire you can work your way up from coaching and refereeing local games. I'm sure a lot of them start out as players and maybe become umpires when they get a bit too old to be out on the field, although of course an umpire still needs to be able to run around. You'd need to have a very sharp understanding of the game, of course and the confidence to stand by your decisions. And you'd have to be willing to wear umpire attire which I've always thought could be a little bit ridiculous, since they need to be able to stand out. @bythewell - It's true that there are always going to be fewer umpires than players, except, perhaps, in a game like tennis. But that doesn't mean it's more difficult to become an umpire than to become a sportsperson. The reason it's tough to get into professional sports is because so many people want to play professional sports. I doubt that as many people want to be professional umpires. Umpire training is probably fairly rigorous as, depending on the sport, you'll be running up and down the field, concentrating as hard or harder than the players. And you won't get any glory either. I'll bet most people can't even name one umpire, although they can name plenty of players. I'm sure there are lots of people who do want to be umpires, but I don't think the competition for the job will ever be as fierce as for the teams. It was pointed out to me recently that becoming a professional umpire is even more difficult than becoming a professional sports person. That might seem counter intuitive, since you have to work so hard to be a professional sportsperson, but when you think about it, it makes sense. No matter how many people are playing, there are usually only two or three umpires at the most in the field. They don't need to have any more, after all, as they have so much technology they can determine fault through that. So, there is always going to be more sportspeople than there are umpires. It's never been a job that I've wanted to go into, but I think it's strange that it should be so difficult to get.